Nintendo's portable system continues to perform well this holiday season. Nintendo CEO Satoru Iwata revealed that 3DS is set to cross the three million units sold mark in Japan two weeks earlier than DS, which debuted in 2004. Even better, he expects the system to exceed four million units by its one-year anniversary. 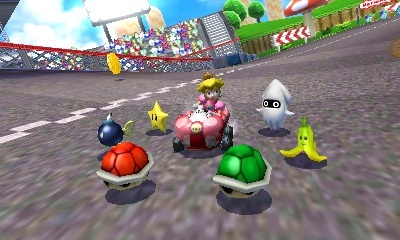 What's more, Mario Kart 7 sold roughly 420,000 copies during its first week on the shelf, a staggering figure. We're still awaiting sales numbers for MK7 in the U.S., but if Japan is any indication, the data will be good indeed. All around, more great news for 3DS heading into 2012.